Power Up, Super Smash Bros. The Super Smash Bros. Ultimate Tournament is one of the latest tournaments where every gamer or fan of Smash Bros. can participate to compete against each other. There’s approximately 100 students competing against each other to determine who can be the winner of the tournament or having to root for their fellow friends. The tournament is meant for everyone instead of just only professional players. Though the tournament is new to the school, there was some issues during the tournament. It was going a bit slower and they will have to host the tournament for few days. The group behind the tournament will make changes for the tournament in the future. 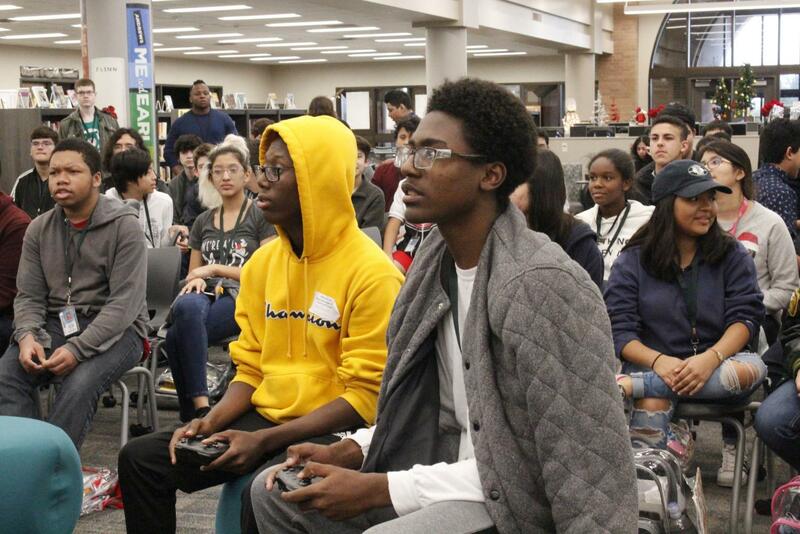 What made many student participate the tournament is that the tournament is about Smash Bros. and they are all gamers who grew up playing Smash Bros. at their young age. Although most gamers known the series in Smash Bros., there are some people who may not recognize some of the video games series but they somehow know the popular ones. Everyone in the tournament may not have a high chance of winning, but they know that the tournament wasn’t all about winning. It was only for fun and everyone doesn’t have to take it serious.